Now that his season is over with Barrie of the Ontario Hockey League, the Sabres have reassigned 2018 fourth-round pick Matej Pekar to the Rochester Amerks. But that doesn't necessarily mean Pekar is going to see any action the rest of the season or in the Calder Cup playoffs. Pekar has not played for Barrie since Jan. 10 due to a broken collarbone and the trip to Rochester is likely just going to be a rehab assignment combined with a watch-and-learn mission. "We're pleased that Matej will be joining us in Rochester as part of continuing his development process,” Sabres assistant general manager/Amerks GM Randy Sexton said in a statement. “He is coming off a long-term injury, so whether he plays games remains to be seen. 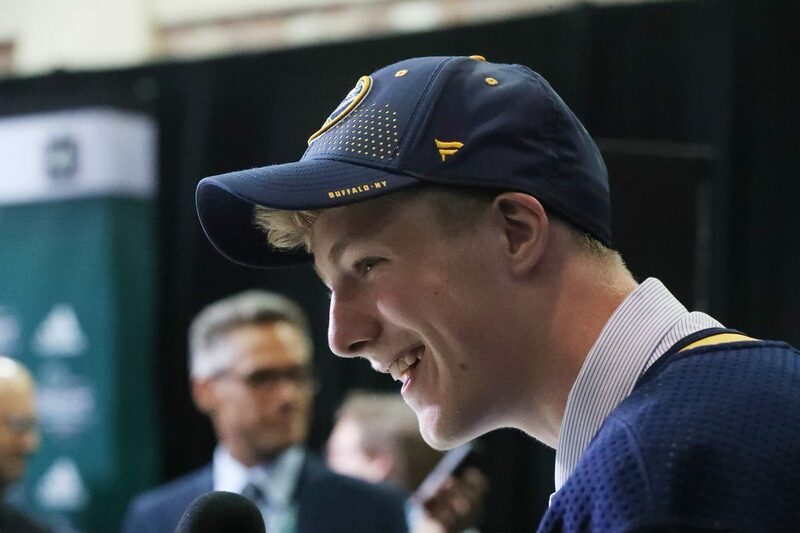 More importantly, he'll have the opportunity to immerse himself in the pro hockey environment, which we believe is a critical component of any young player's development." Pekar, 19, has 36 points in 33 games for Barrie (14-22-36). He compiled five three-point games and nine multipoint games in his first season of junior hockey. Pekar earned immediate notice here last June for his physical play in development camp against the likes of Casey Mittelstadt and Rasmus Dahlin, and even from taking a massive from Dahlin in a 3-on-3 drill that went viral.